KOG Games, a leading developer and publisher of popular free-to-play action MMORPGs, today announces the ability for players to advance Add, the 9th playable character, to the next 2nd Job Class: Mastermind. As Add’s power and mastery over Nasod technology has grown, so has the strength and tenacity of his enemies. Unnerved at the growing threat, Add decides to destroy the limitations of the Arc Tracers Job class and become… Mastermind. 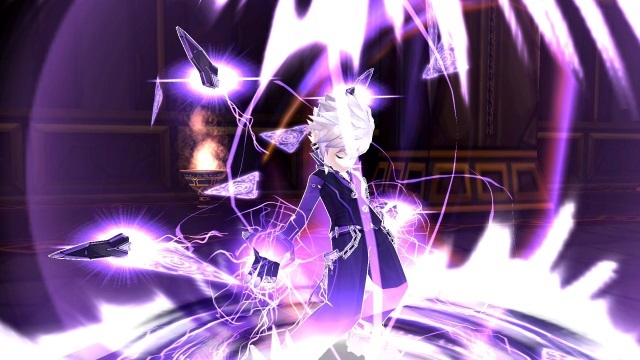 Mastery is imminent for Elsword’s mad genius. As his enemies get stronger and stronger, Add is driven to make his Dynamos more like autonomous android Nasods; acting according to his every wish. After searching the Altera Core and Feita, he finds just what he needs to expand and fully control his weaponry. Add’s Mastermind technology allows him to summon and control more advanced fighting drones with ease. In addition to a battery of new technically charged attacks, new Dynamo Configuration skills bring more tactical assault methods and delayed explosions, while the Install special active skills now include persistent ranged damage, targeted intercepts and an onslaughts of rapid-attack plasma beams. At level 35, players can choose either to complete the in-game quest or purchase the 2nd Job Change Item from the shop to unlock Add’s new 2nd Job, Mastermind. As Mastermind, Add masters the very nature of Nasod technology and greatly enhances his Dynamo weapon to envelope this newfound power. NetDragon’s mobile FPS game, has been confirmed --- October 22nd in Australia. It will be available in Google Play then.